MARSHALL, Texas (Reuters) - A U.S. jury on Friday found Apple Inc did not infringe five antipiracy patents owned by a Pendrell Corp subsidiary at trial in a Texas federal court. The jury also found that Apple did not prove that the patents were invalid. No damages were awarded to Pendrell subsidiary ContentGuard Holdings. An Apple attorney declined to comment. Samuel Baxter, an attorney for ContentGuard, said they are disappointed by the outcome and evaluating options. The trial came after a jury in a separate case in the same court in September cleared Google Inc of infringing the same five patents. Samsung Electronics Co Ltd <005930.KS> was also cleared in that case. ContentGuard sued Apple in 2013 and Google and Samsung in 2014 alleging infringement of several antipiracy patents that help to restrict content to authorized users. 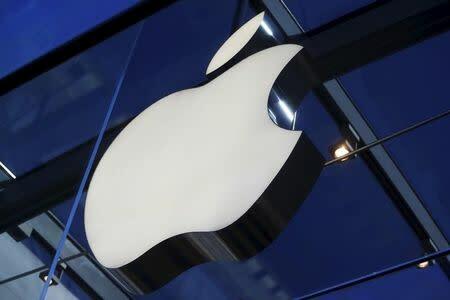 The company claimed Apple infringed by making and selling its popular devices, which use the iTunes and iBooks applications, to distribute DRM-protected songs, movies, TV shows and books. Apple denied any infringement and said the patents are invalid. ContentGuard emerged from a partnership in 2000 between Xerox Corp and Microsoft Corp to form a digital rights management business, according to court papers. It is now owned by Kirkland, Washington-based Pendrell Corp, a publicly traded patent management company, and Time Warner. Through its subsidiaries, Pendrell holds about 1,200 patents worldwide.